Yesterday was International Women’s Day, but it also marked the Netflix premiere of Jessica Jones Season 2 — which really does focus on female empowerment and in many more ways than you may think. The first season was about Jessica Jones taking her power back from the abusive Killgrave and she is still dealing with the scars of that. The new season sees Trish and Jessica investigating how and why Jessica got her super strength and sees the two going to some really dark places as they gradually uncover the truth. 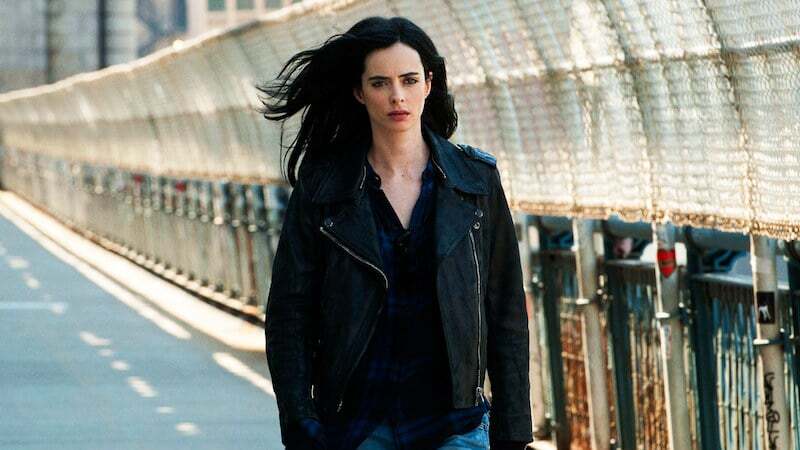 Jessica Jones, even when in its traditional Marvel comic book form, has always been about female empowerment and the television incarnation has really embraced that theme. Not only in regards to what the viewers see, but also behind the scenes of the show. A recent three-page feature running in the current issue of SFX Magazine picked up on this point when it threw a few quick questions to both the star of the show, Krysten Ritter, and executive producer Melissa Rosenberg about how the show has encouraged the girl power phenomenon. When asked about how she felt about the fact that all 13 episodes of Season 2 have been directed by female directors, Ritter was extraordinarily positive. “This is already such a girl-heavy show,” she says. “It’s created by a woman. It stars a woman, it has a heavily female cast, so it feels exactly the same to me. But it’s obviously really exciting. It feels very much a part of our world on this show. Rosenberg, who created the series, says that it is the show’s mission statement to help redefine the complexities of the female hero and having all-female directors for the whole season is just one way in which they’ve done that. “I think this show’s been having that conversation for as long as it has existed,” Rosenberg says. “The movement is catching up to us. I’m really proud of what we’ve done to date and I’m optimistic about the movement that’s happening, and proud to be a part of it, in any way, shape or form. Jessica Jones Season 2 is streaming on Netflix now.